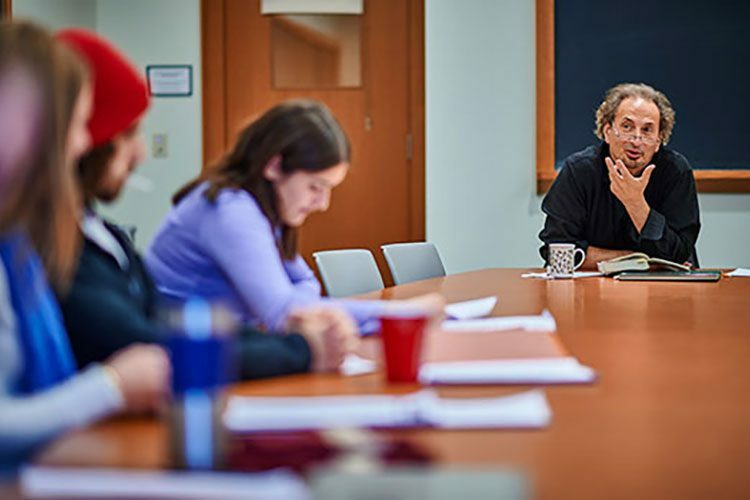 Peter Balakian, the Donald M. and Constance H. Rebar Professor in humanities, professor of English, and director of creative writing at Colgate, has won the 2016 Pulitzer Prize for Poetry for Ozone Journal, his collection of poems published last year by University of Chicago Press. “All of Peter’s work is marked by a profound ethical concern and an appreciation for how the past indelibly marks the present,” said English professor Constance Harsh, interim dean of the faculty and provost. The Pulitzer Prize is the latest — and highest — praise for Balakian’s extensive writings. The Burning Tigris: The Armenian Genocide and America’s Response, a New York Times Notable Book and Best Seller, earned the 2005 Raphael Lemkin Prize. Black Dog of Fate, voted best book of the year by the New York Times, the LA Times, and Publisher’s Weekly, won the PEN/Martha Albrand Prize for the Art of the Memoir. His translation of Grigoris Balakian’s Armenian Golgotha: A Memoir of the Armenian Genocide 1915–1918 was a Washington Post book of the year. “As a historian myself, I’ve always admired Peter’s ability to capture the past and make it immediate to our present concerns,” said Interim President Jill Harsin. For more from Balakian on poetry and memory, read his feature article in the autumn 2015 Colgate Scene.